In February 2012, I heard the three words that nobody ever wants to hear… “You have cancer”. I was diagnosed with liver cancer and was told the only treatment option was a transplant. You go through every range of emotion, sadness, anger, and confusion. As the days passed, I became sicker and spent my time extremely disoriented as I waited for the phone call that would save my life. On October 12, 2012, I received my life saving call, there was a liver waiting for me. This was crucial because we didn’t think I would make it much longer. It was a relief to receive this phone call, yet also terrifying. Afterwards my doctor told my family the surgery was complete, however, I was in ICU and that it was going to be a long road to recovery. My recovery was not easy. Most patients spend five days at the hospital, I spent 18. There were many complications that preceded my transplant. During this time, I was brought back into surgery for bleeding, aspirated and was placed back in SICU and placed on a ventilator. I have never been more thankful than when I was finally released to go home. Life often takes us down different paths. This was definitely one I never would have thought I would travel. Each and every day I thank my organ donor. I spend my time giving back by educating others on the importance of organ donation and attending support group meetings for those waiting for their transplant. More importantly, I am beyond blessed that someone chose this selfless act and has given me a new purpose in life. I can now spend my days with my wife, my daughters and their husbands, as well as with my five grandchildren. 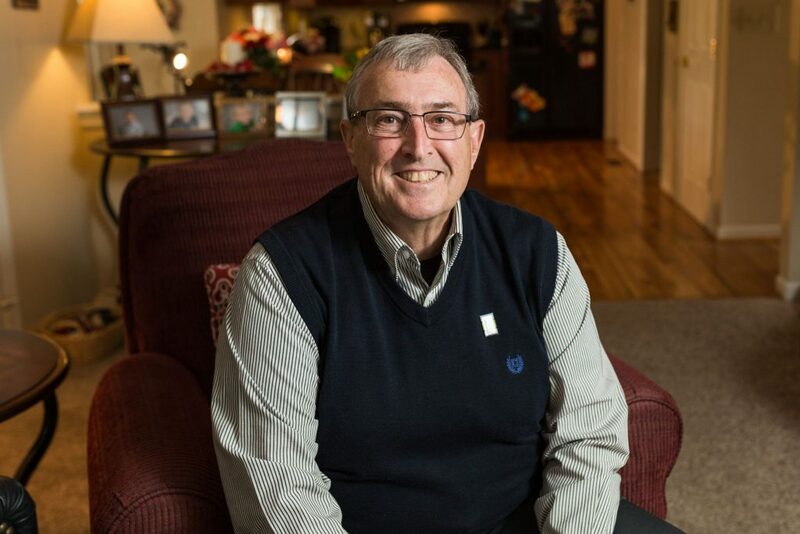 My hope is that the wait list for transplant will become shorter, and that my story will help others save the lives of strangers through organ donation.